I went yard saling this morning! Phew! This has been my first Saturday off for just me in about 3 Months. I didn't have to work, didn't have to be anywhere, etc. It's been wonderful thus far! 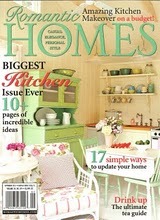 In fact I will finally find the time to do a tutorial on my Cottage Chic range hood in my kitchen! If you haven't seen my before and after of my kitchen remodel, be sure to click the above link! Anyway, here are some photos I took of some of the homes I went to this morning! This home is very special. It was the Headquarters of General Robert E. Lee from November 1st - 26th, 1864 during the War of Norther Aggression, as the American Civil War is known in my neck of the woods. The wonderful folks that currently own the home, recently sold it and are moving to a near by county to a similar home on a smaller lot. Yes, this home sits on over an acre! Keep in mind this is Downtown Petersburg, VA on High Street! An acre lot, imagine what an acre would cost in Manhattan. Something else very neat about this home is it was converted from Egyptian Revival to Italianate sometime in the late 1800s to the early 1900s! Farther down in the post, I have photos of another Egyptian Revival home in its original state. This charming cottage is one of the out buildings of Gen. Lee's headquarters! This is where Gen. Lee had his office. It is now a one bedroom rental. Since it is downtown, most properties are zoned mixed use, so wouldn't this be a great place to open a shoppe!?! I was having a little fun in Picnik with the above photo. It was a little blurry, but I wanted to try and save it! This is the Egyptian Revival home that is in its original state from when it was build, save that they got rid of a large fan window in the middle of the second floor on the front of the home when an indoor bathroom was added, as is common in older homes in this neighborhood. Apparently the same contractor installed them all and didn't think a bathroom should have a window! One of the key traits of an Egyptian Revival home are the square columns set at an angle. A friend of mine actually lives here. She had just redone a few things and gave me the five min. tour. I have a special treat in store, as she is going to arrange for me to do a photo shoot to share with you! Look for that in the upcoming weeks! Her home is beautiful truly beautiful. Here is a lovely Low Country style home. I love those plantation shutters! I love the iron fence with granite posts. Look at the French arrow finials. Here is a simple two story Colonial style home. I love the Chinese Chippendale railing on the balcony. Here is a very cute side hall Victorian. Generally the original homeowners would build a home like this, and eventually add on and make it a center hall home. I love all the landscaping. They work hard to keep it this beautiful! There's another cast iron fence--check out the custom wrought iron gate. This is a classic example of Federal architecture. Look at all the beautiful moldings! This house originally belonged to a doctor, and shortly after he built it, he added on a wing for his practice. It is now a bed and breakfast. I'll have to see if the owners will let me do a photo shoot here, as well! They were very good customers of mine when I ran a local antiques mall. Because of the original mixed use of the property there are two front porches! The current owners do not use the additional front door, so they places a beautiful urn there to deter visitors from using the wrong door! I've got photos from the estate sale coming soon! You'll be sure to want to come back soon!